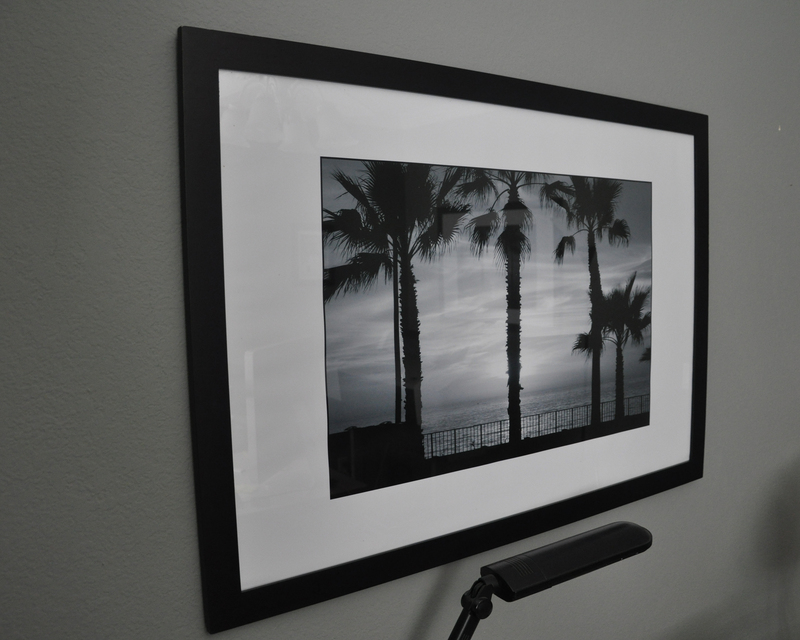 Black and White Photography – The Power of Matting and Framing. 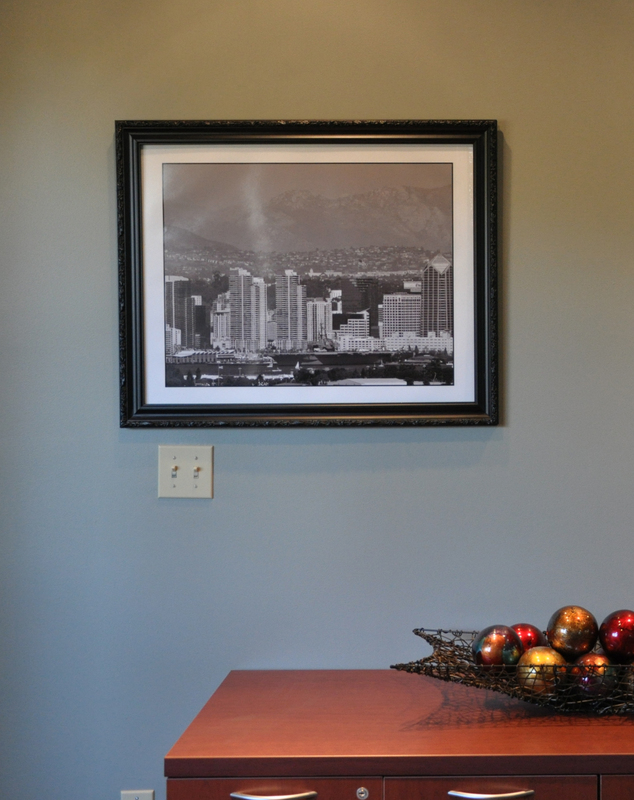 When you are hanging prints in your home or office, don’t underestimate the visual power of picking the correct matting and frame to accent and highlight the existing decor. 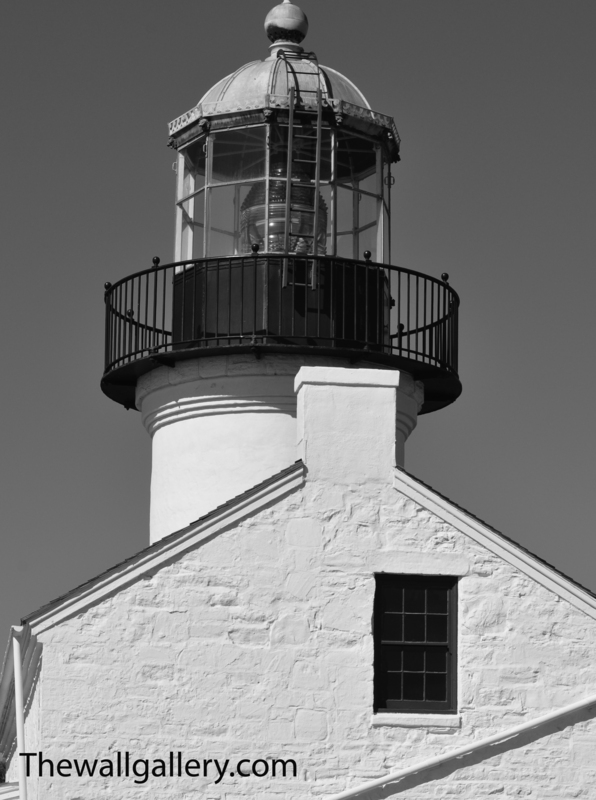 I have a variety of examples, but wanted to start with Black and White Photography. Black and White Photography is so versatile and works in so many decors. I’ve attached examples of the original picture and then that same picture framed and matted. 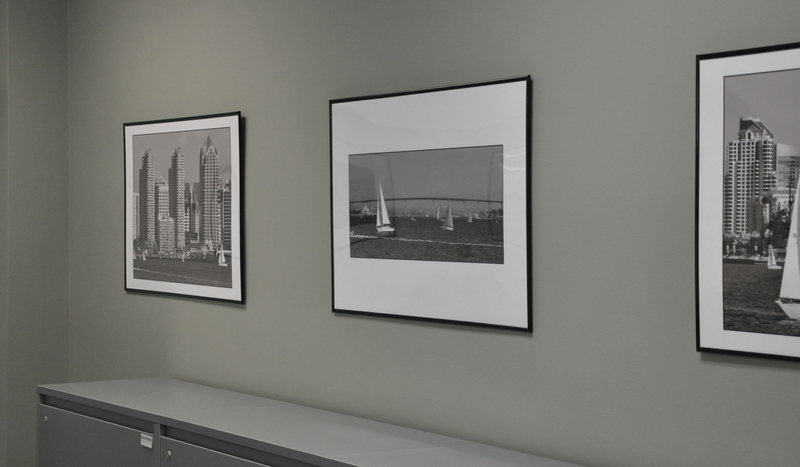 My examples are from the same office suite and are all matted in white with black frames. 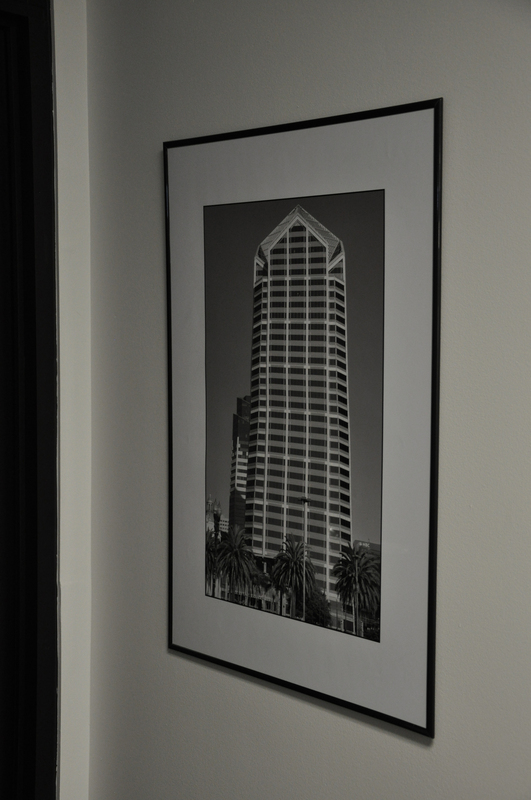 I thought these examples would be good as we won’t be getting lost in the world of which color of matting and frame, but can focus on the impact matting and framing alone have in the presentation of your art…this particular office suite is the San Diego office for a multi national company and they chose San Diego landmarks for their art. 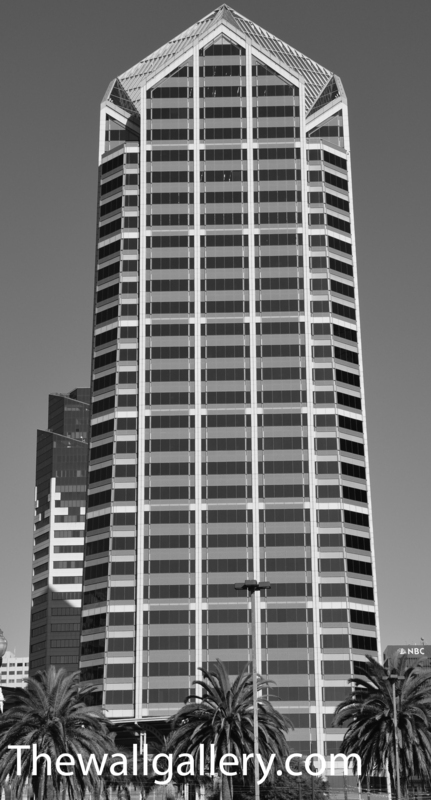 This is the original print and it’s a great black and white shot of one of the office towers in San Diego. Framed Tower piece hung on wall. 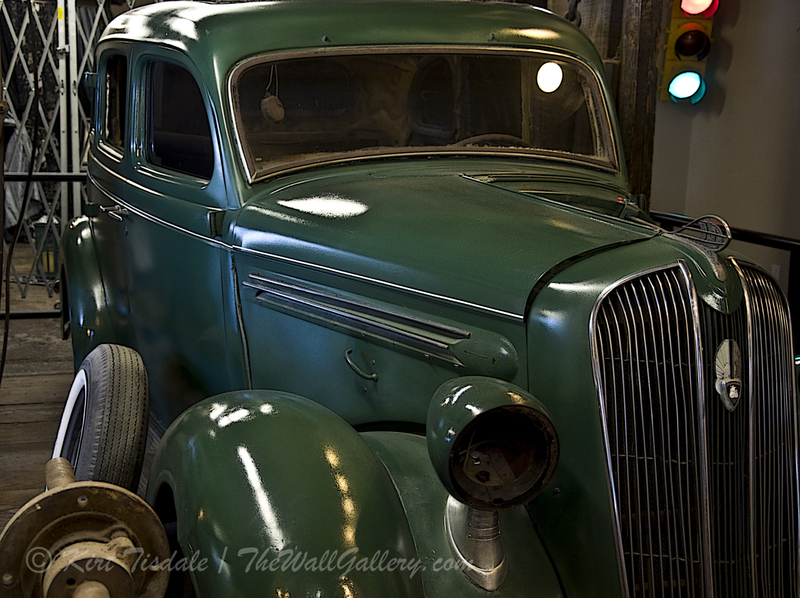 Here’s the same print matted and framed and hung on the wall by an office. 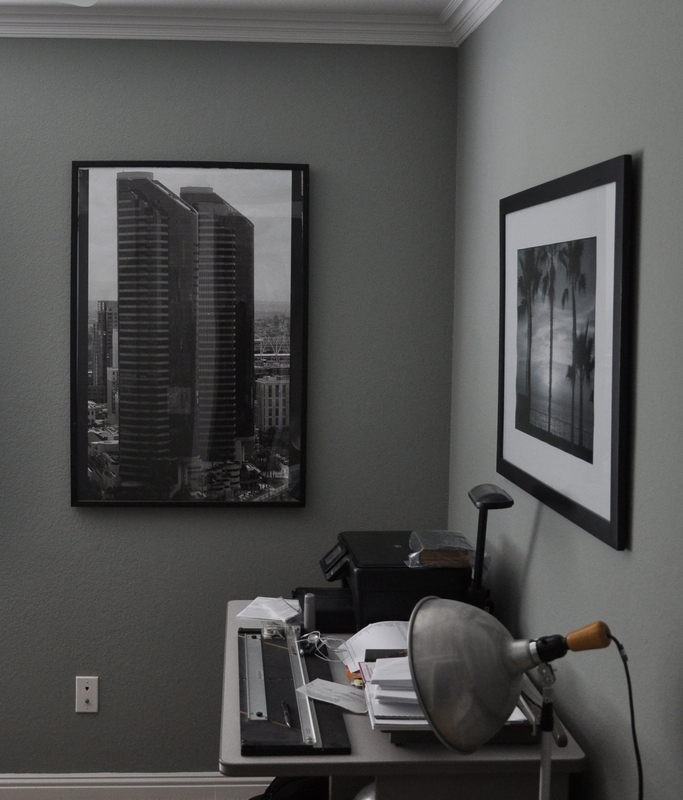 Notice the white matting frames the picture nicely (even on a white wall) and pulls your eye into the scene making the “tower” pop visually. 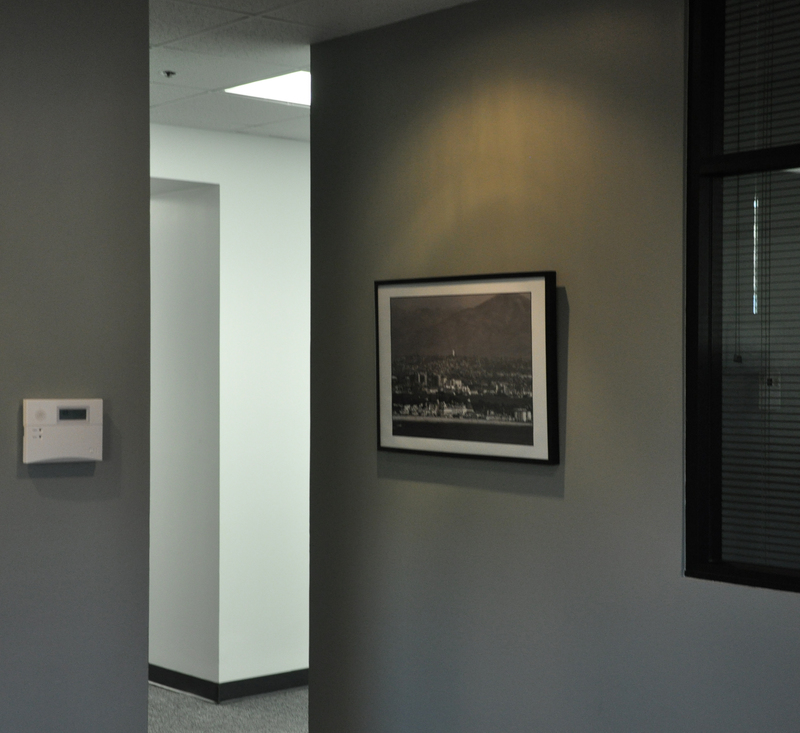 The small black frame completes the look and works with the black trim throughout the office. Another shot of same picture closer up. 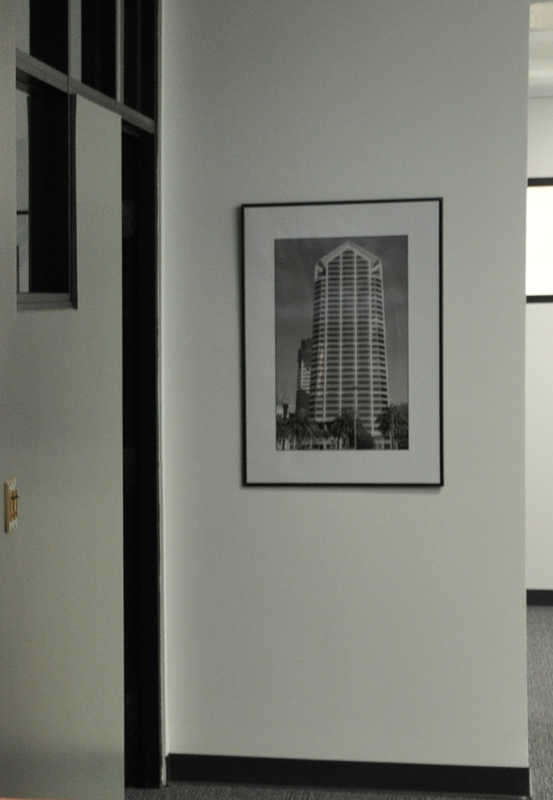 Here’s the original print of another picture hanging in the same office suite. Again, after matting and framing, the picture stands out and becomes a focal point. In this case, the thicker frame compensates the smaller size matting. What you can’t see is a sister picture of this one to the right of the camera shot over the credenza and they both have spot lights on them. Both are heavier frames and a little more formal as this is the entry area to the suite. 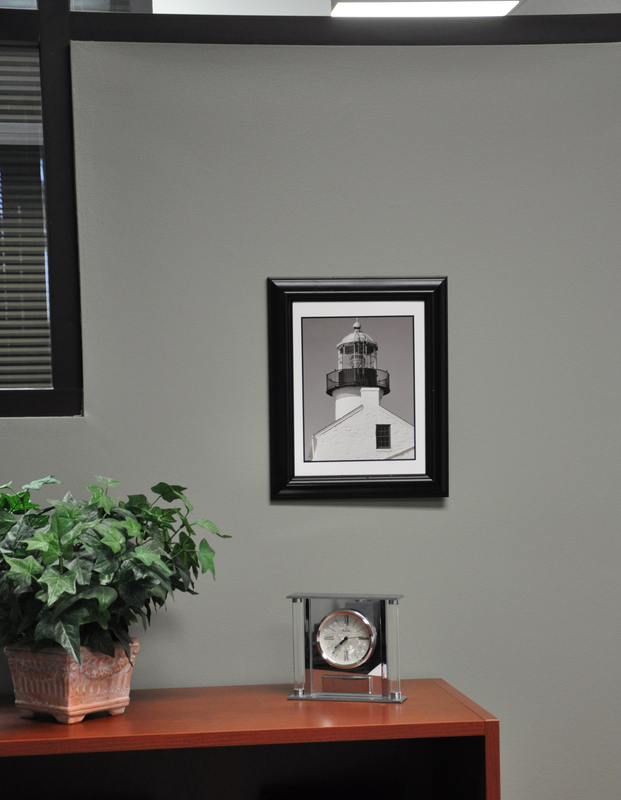 This is the original print of the Point Loma Lighthouse and is in one of the offices. And here’s the same print matted and framed. 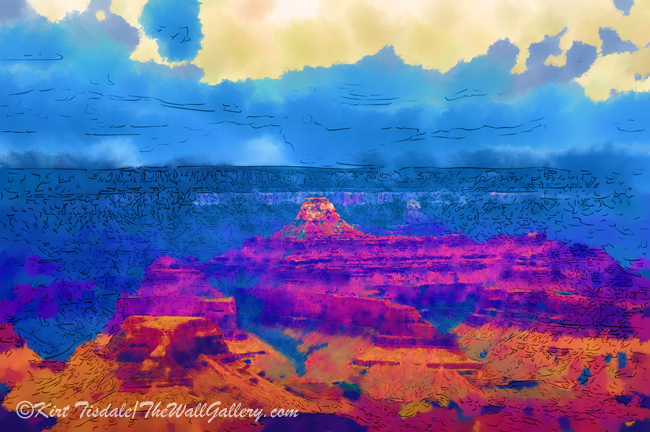 And not using any matting…. And I think this is a good example of not being afraid to go with a bold frame and bold matting. So, those are just some examples of what matting and framing does for hanging art. You create impact with matting size, some pictures lend to large matting, some pop better with smaller matting. The same thing goes for frames. The decor and all of the elements in the room dictate what size of frame works best….not necessarily a right or wrong, but more along the line of personal preference. That said, for my personal taste, some of these pictures should have been in wider frames…especially the art on the white walls. All of these shots were done by me and are available on my website TheWallGallery, along with my galleries at Imagekind and Fine Art America. 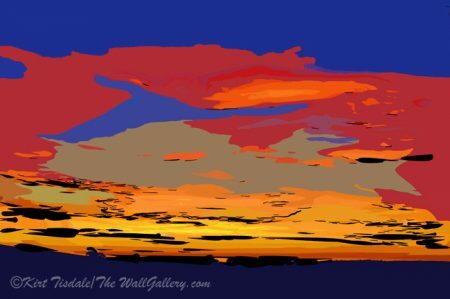 I also have a Facebook page that follows the activities and additions to my galleries and “likes” are always welcomed!Thanks! 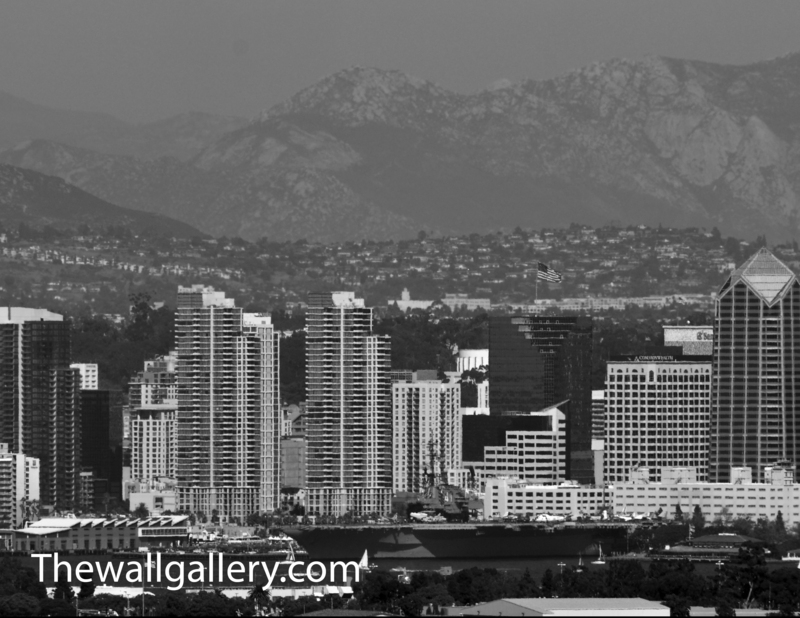 This entry was posted in Matting and Framing and tagged art prints, black and white photography, decor, framing, independent artist, interior design, kirt tisdale, matting, photography on March 18, 2013 by Kirt D Tisdale.